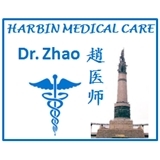 Harbin Medical Care (Flushing) - Book Appointment Online! At Harbin Medical Care, our experienced internist/primary care physicians provide excellent care for our neighbors in Bayside, Flushing, Queens and Long Island. In addition to general medicine, Dr. Jingbo Zhao (male) also has extended experience in bone & joint disease. Dr LiJun Mi (female) also has additional training in liver disease (hepatitis). We treat our patient as our family member and the patients' satisfaction is our ultimate goal. Our service include: vaccinations, electrocardiogram (EKG), blood draw for laboratory testing, pulmonary function test (PFT), and ultrasound of liver, kidneys and thyroid, Echocardiogram (with appointment). Free parking available in front of the office. 24/7 phone access to doctors. Please DO NOT fill in your social security number when registering on line. Dr. Mi and her staff are great however, the wait was far too long and I would not recommend going on Saturdays because she has a lot of patients coming in at that time. The place is also a bit dirty and does not have much space to move around/sit. Other than that, Dr. Mi really cares about her patients and is a lovely professional and I would highly recommend her. After 2 years of not seeking or needing medical attention it was finally about time I chose a primary care physician through my insurance plan. Booked one on ZooDoc and came in the very next day. Wait time was shorter than expected. Signed paperwork as usual and got right down to business. Doctor did not rush me out, he took his time helping me with my issues. Blood test was quick and painless which ensured me I was definitely being taken care of by a seasoned professional. The entire visit went smoothly and comfortably. I would highly recommend this doctor to anyone.